LED lighting is the latest and most advanced technology in the lighting industry. LED lights are available in diverse sizes, solid and highly efficient in terms of power consumption. Besides, the lights also have longer lifespans than most common types of lights. In fact, LED lighting is a great step that you should consider taking in order to illuminate your swimming pool and also create a more luxurious feel. 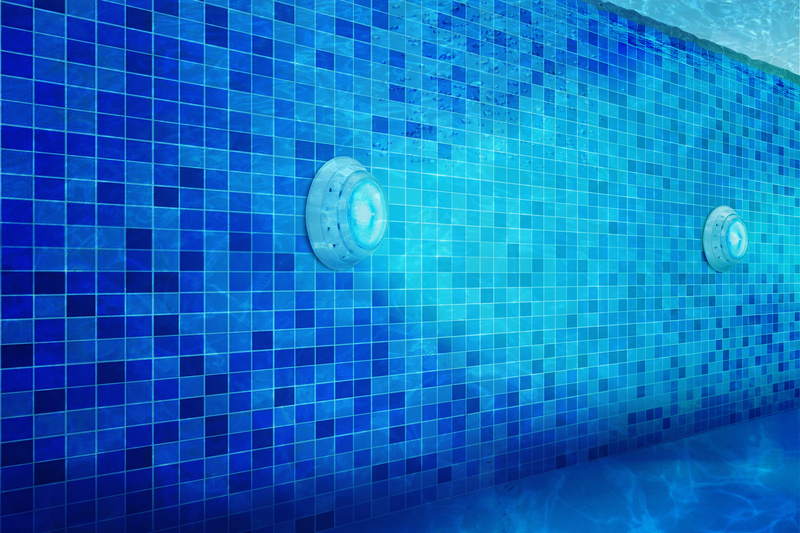 Underwater LED swimming pool lighting is recommended to provide better visibility inside the pool. Unlike halogen lights or other common types of lights, underwater LED swimming pool lights can also be ideal for improving the beauty of your pool and environment. These lights can make your swimming pool to look unique and more prestigious, creating an ideal spot to cool off from the hassles of the day. At Swimming Pool Singapore, we offer the best quality and affordable underwater LED swimming pool lighting solutions. All the underwater LED swimming pool lights that we provide are proven safe, durable and also energy efficient to give the best results in every pool. For a complete fit, we also specialize in custom swimming pool light installation services that you can also get whenever you buy our underwater LED swimming pool lights. Compared to incandescent bulbs used by some people in swimming pools, our underwater LED lights consume very little energy. In fact, LED lighting can offer up to 90% power saving, which will ensure low electricity costs for operating the swimming pool. Besides, the energy efficiency of our LED lighting will also impact greater savings when it comes to the cost of replacing pool lights and, general maintenance of the facility. Due to the energy-saving abilities of LED lighting, they can even work quite well in swimming pools that rely on solar power. Considering the longer lifespan of our underwater LED lighting, there is no doubt that you will experience greater savings using them. With a light that can last for up to 34, 17 and 6 years, you will not be bothered with replacing pool lights anymore. Thus, reduced maintenance and operational costs for the swimming pool. The safety of our underwater LED pool lights is also another reason you should always opt for them when constructing a new pool or refurbishing an existing one. LED lights do not produce a lot of heat like other common lights and, they can always remain powered for longer hours without any consequences even if they come into contact with the body. This helps in reducing the risks of burns and lights blowing off. Our underwater LED swimming pool lighting is also environmental friendly. The lights are made from materials that are non-toxic, ensuring no impacts to the environment. Besides, LED lights are also recyclable, which makes them quite safe for illuminating the water in your swimming pool. LED lights also come in a wide range of base colors including, amber, green, red, blue among others. Depending on the kind of appeal or theme that you intend to create in your swimming pool, you can always choose a color for that. Besides, you can also opt for LED lights that change colors in intervals. With these provisions, you will not only be able to light up the pool but also create a unique decorative accent to make the facility more inviting and luxurious. The solid design of LED lights also makes them quite strong and long lasting. The lights use semi-conductors and encased in epoxy resin to ensure that they are more durable than traditional lights and bulbs. Since the construction of the lights do not incorporate fragile materials, our underwater LED lights have the ability to withstand vibrations, shock and even extreme temperature. In order to get high quality underwater LED lighting for your swimming pool, always order the products from Swimming Pool Singapore. Our company offers the best products, which are all tested and proven durable and efficient in every way. Our commitment has always been delivering top notch products to meet the specific needs of every customer. Quality is an element that we always give precedence in every product that we offer for the best results. Although most people usually think that LED lights are expensive, that is not true. Our company offers the best quality at pocket friendly rates that you can easily afford with your budget. Depending on the size of your swimming pool, needs and budget, we can help you get the most suitable underwater LED swimming pool. Even after obtaining the required underwater LED swimming pool light, we can also go ahead to do the installation at your own convenience. Our company offers professional swimming pool lighting installation services, which can be customized to the kind of pool that you have as well as your personal preferences. We can effectively handle underwater LED swimming pool lighting for both residential and commercial swimming pools. Talk to us for quality and affordable underwater LED swimming pool lighting Singapore.